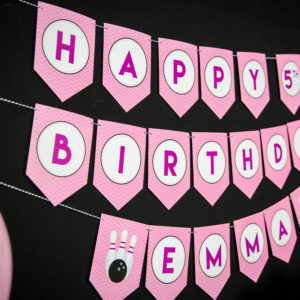 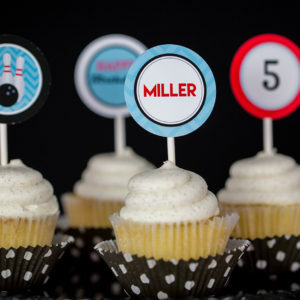 Strike up the fun with our printable bowling party decorations. 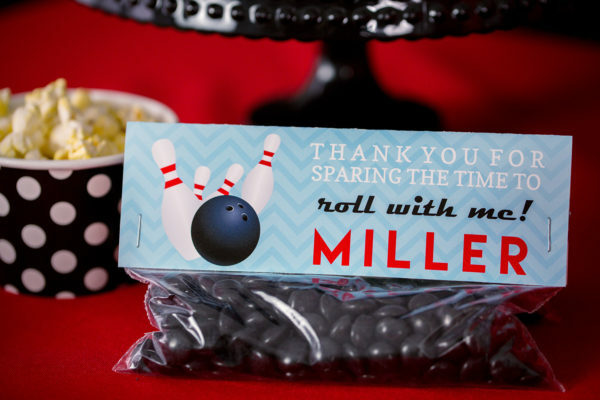 Bold red, light blue and black design with chevron detail is sure to keep the party rolling! 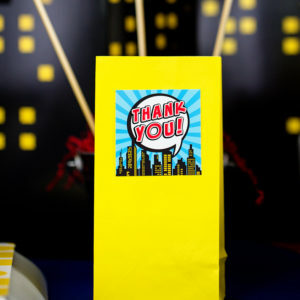 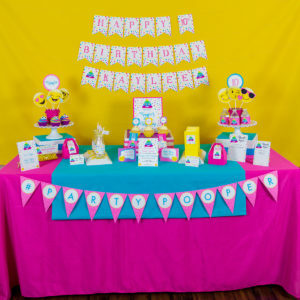 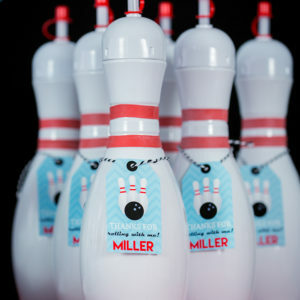 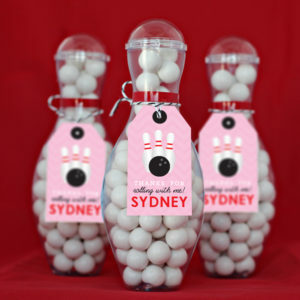 These editable bowling party treat bag topper add the prefect touch to your next bowling birthday party. 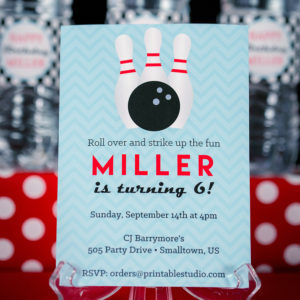 The files are set up to print on 8.5 x 11″ Paper with 10 favor tags per page. 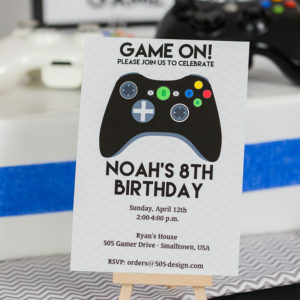 Like all of the items in our shop, these food labels are instant download digital files that you edit yourself using Adobe Reader.